Major props go out to LOWswimmer for the tip on a new food truck today! 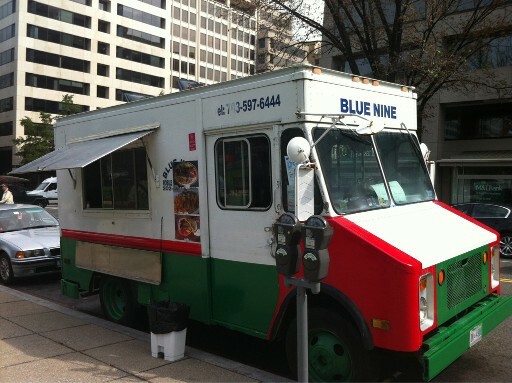 Blue Nine is on its second day of service and was found at Farragut Square today. The menu consists of kabobs & biryani. No word yet on Twitter or FB accounts, but I’ll keep you posted! See LOWswimmer’s review of Blue Nine.